Top tier Dota 2 competition is headed to India for the first time with the announcement of ESL One Mumbai, powered by Intel on April 19-21st 2019. ESL has teamed up with NODWIN Gaming to bring the event to the NSCI Dome which has a capacity of 8,000 seats. Twelve Dota 2 teams will head to India to battle it out for their share of the $300,000 prize available in India’s first premium Dota 2 tournament. NODWIN Gaming has previously helped DreamHack take its first steps in the Indian market, helping organise DreamHack Mumbai back in December 2018. 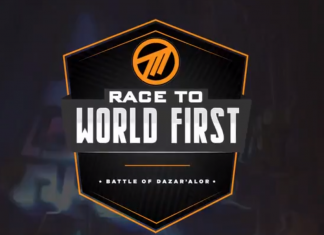 The event will see seven teams directly invited, and four teams that will have to battle through online qualifiers which will take place in Europe, North America, Greater China and Southeast Asia. Additionally, a local qualifier will take place in India to give grassroots Indian esports the chance to pit themselves against the best in the world. Eight of the twelve teams will have the chance to play on the stage in front of a live crowd – so here’s hoping the Indian qualifier can spring an upset or seven and make it through. “As the technology leader for esports and gaming and ESL’s Global Technical Partner, Intel is looking forward to delivering a world-class gaming experience to Dota 2 fans in India and around the world, at the inaugural ESL One Mumbai 2019,” said Prakash Mallya, Managing Director – Sales & Marketing Group at Intel India. ESL One Mumbai will also feature the standard cosplay competition, as well as signing sessions and the like for local fans to meet the global superstars. Besides the tournament, ESL One Mumbai 2019 will feature an array of exciting activities including ESL One’s famous Dota 2 cosplay competition and opportunities to interact with teams and pro players. Tickets for ESL One Mumbai 2019 will go on sale on Thursday, January 17 at 3pm (IST), and will range from 499 INR for Single Day tickets up to 2,499 INR for Premium tickets. Further details on each available ticket type can be found here. Esports Insider says: Dota 2 headed to Mumbai is definitely a cool one. From a personal standpoint, i’m excited to see the content created when you unleash SirActionSlacks in Mumbai in 33°C heat. Not sure we’re ready… not sure Mumbai is ready. Great to see India given a qualifier slot as well so let’s see how Indian esports compares to the rest of the world.